I am so happy to be able to share one of my latest creations for Lightroom & Photoshop ACR. We have had a Polaroid Land Camera for about 5 years and have been using Fuji 100 C Film with our camera. I have always been fascinated with instant film and collecting cameras since I started photography. My favorite Fuji 100 C Film has just sky rocked to in Price to almost $50 per pack of 10 exposures so I haven't been shooting with it as much. I wanted to recreate the look of 100 C and Instax film in Lightroom/Photoshop so I could achieve a similar look with my DSLR images. I am always trying to incorporate color as much as possible in my shoots. I met up with Britney in San Clemente at 7:00 pm. We shot in front of a red & blue neon sing. I used a prism to create different in camera effects to these portraits. 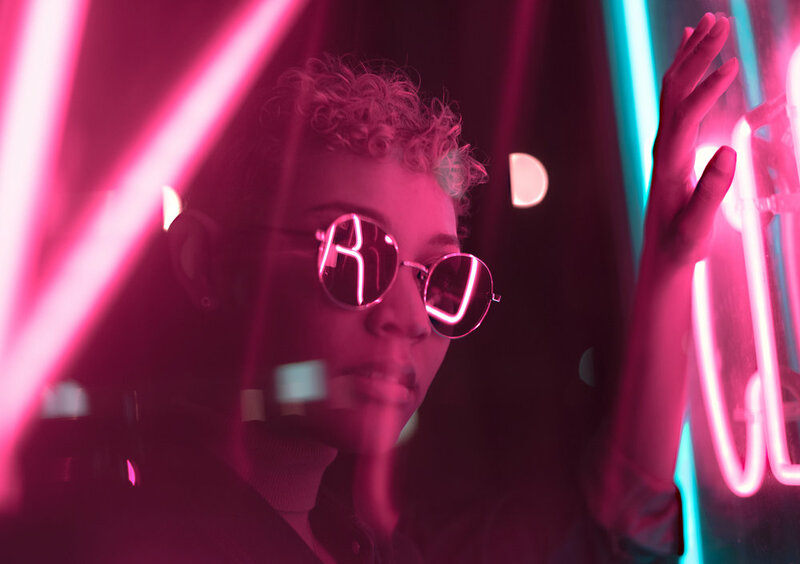 Anytime I shoot at night with neon signs and fairy lights I always want my model wearing glasses. This gives your images another element and something to reflect the beautiful lighting. I used my 50mm Nikkor 1.4 lens for this shoot. Once I imported the images into Lightroom, I choose the images I am going to edit, and apply my presets. 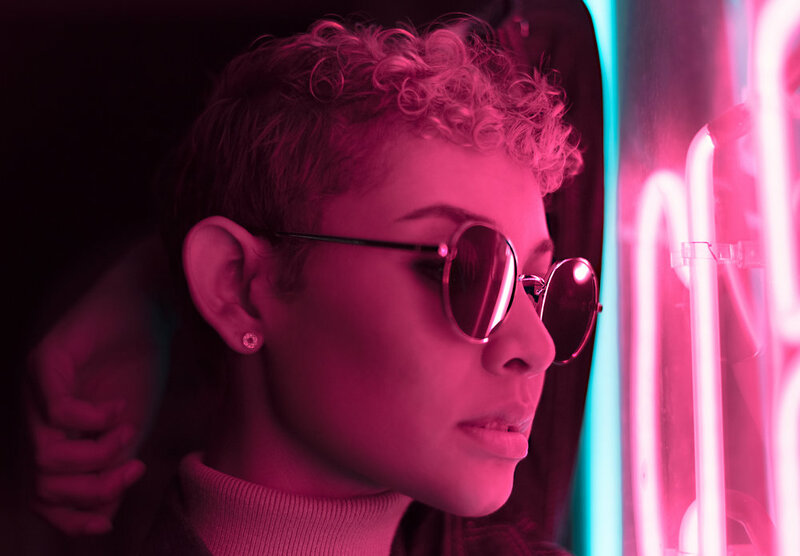 I created the Neon Pack to help achieve pink and light blue tones in neon lit portraits. I didn’t much like the red and dark blue starting point of this image. I think that light pink is more inviting and flattering.